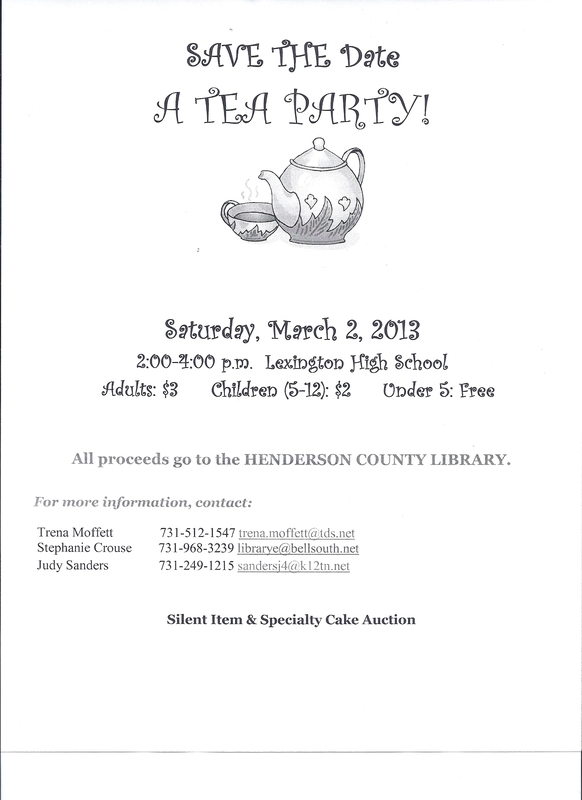 The Henderson County Library Tea Party is coming up on March 2, 2013. It will be held at the Lexington High School from 2:00-4:00. This year all the proceeds will go to the Library as the Imagination Library has already been funded. 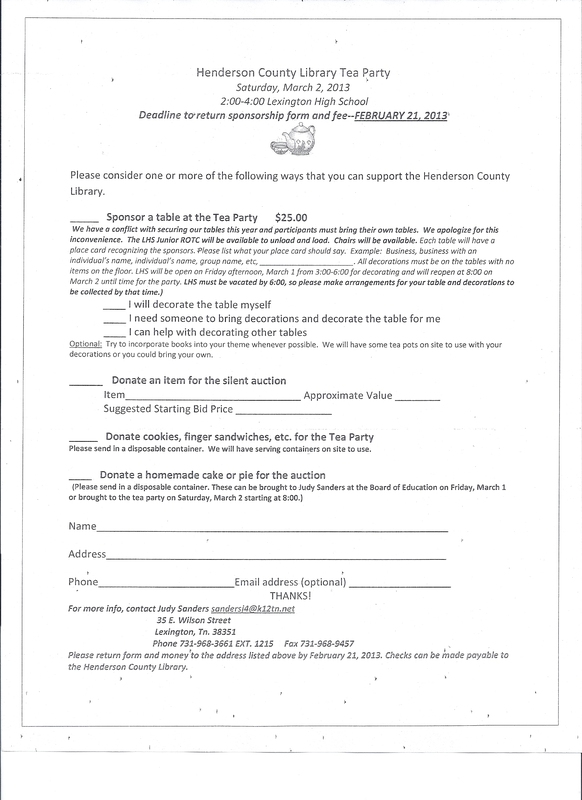 If you are interested in sponsoring a table, helping with decorating the tables, donating an item for auction, or donating foods for the Tea Party please see attached documents. You may also call the library for more info at 731-968-3239. Thanks to everyone! !